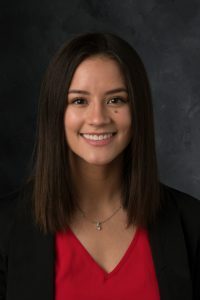 Kelly is currently a third year student at the University of Iowa working towards a Bachelor of Science in Mathematics and in Statistics, with a concentration in Risk Management & Insurance and a minor in Economics. Throughout her tenure at the University of Iowa, Kelly has been engaged in multiple campus activities. Kelly, is an active member of Gamma Iota Sigma, peer mentor for Women in Science and Engineering (WISE), and secretary of the University of Iowa Mathematics Club. Kelly has also served as Vice President of Finance for Iowa’s Alpha Phi chapter where she coordinated with the rest of the Executive Board to maintain a $685,000 budget. Kelly currently works as the Project Assistant in the Vaughan Institute of Risk Management & Insurance where she manages the organization’s marketing materials and maintains dialogue with students in the RMI program. She has also accepted an Analytics internship position at State Farm for this upcoming summer. Kelly looks forward to utilizing her various experiences and talents in order to grow, learn, and develop her skills further.